You car is one of your largest investments and regularly getting a Oil Change is vitally important to its health. The Oil is dark and gritty – When you check your oil level and white it on a towel; what does your oil look like? Your Car is Louder than it used to be – Oil is vital to your engine running smoothly by providing the lubricant that allows the parts to glide. Without clean oil those parts scrape, grind, rub and generally cause premature wear and damage. If You Can’t Remember the Last Oil Change – Even if you fuel level is good, the oil you do have may not be lubricating your engine properly. If you can’t remember the last time it was changed, it most likely needs to be changed now. Your Check Engine Light is On – Many newer cars have a specific oil light that will go on but for older vehicles the engine light will come on to indicate your engine lubricant really needs attention. A first step would be to check your oil level. Your Oil Level Keeps Dropping – Engines will gradually eat up engine oil but drastic or fast reductions that increase in volume over time are a sign of a larger problem. When you oil level is low remember to check color and consistency as well. You oil may need to be replaced instead of refilled. Will an Oil Change Help My Gas Mileage? If you can’t remember the last time you changed your oil and it appears to be clumpy and dirty, it is most definitely harming your fuel economy. In order for your engine to work efficiently and provide the best gas mileage possible, your oil needs to be free from particulates and maintain the correct viscosity. The cushion from the oil helps to ensure that your engine isn’t rubbing metal on metal and reducing its efficiency and the overall life of your vehicle. Both types of oil begin their lives as crude oil. Conventional motor oil was developed to provide lubrication at high temperatures in order to protect your car and provide optimal engine performance. Synthetic motor oil is modified and developed beyond the aspects of convention motor oil. Many synthetic oils have been scientifically developed to maintain their viscosity longer and better than conventional oils. 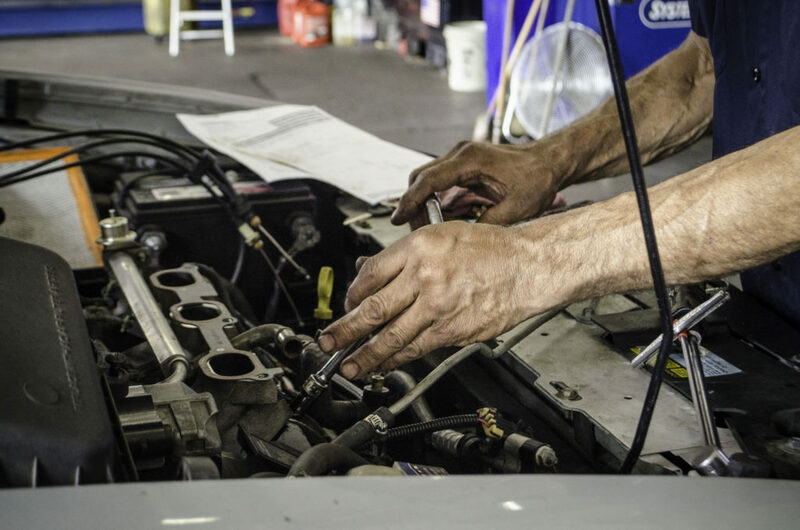 One of the advantages to synthetic oil is that it doesn’t breakdown as fast as conventional oils so you can wait longer between oil changes without harming your vehicle. How much is an Oil Change at the Gresham Quick Lane? Oil Changes at the Gresham Quick Lane are economical and fast. If you have a larger engine or diesel truck contact us directly for your best pricing. These prices are for most passenger cars and light trucks. When you visit the Gresham Quick Lane we do our best to make the experience painless and quick. New customers get Half Off their first oil change too. And with every service visit you receive a Vehicle Report Card that gives you an update on all your wearable items like: brakes, battery, tires, fluids and more. This report keeps you up to date with repairs that may be needed in the future so you aren’t caught off guard. Visit the Gresham Quick Lane weekdays 7a to 10p and Saturdays 8a to 4p.